This beautiful, short piece of music was filmed outdoors, in a canyon with waterfalls. 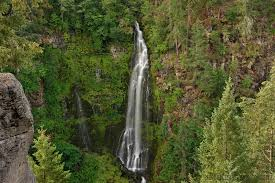 Specifically, the filming was done in Barr Falls, Oregon (pictured above). What a beautiful place! I’m not sure the music has it’s origin’s in First Nations music but it is so beautiful I wanted to share it with you. This is beautiful, and so calming. Thank you Takami! I’m glad it came across that way. So peaceful! Thank you Semra! It is so beautiful and peaceful. Blessings to you. So wonderful. So touching and beautiful. Thanks Gigi! This is one of my favorites too! Thank you Gigi! What a wonderful blessing! Thank you Melanie! I really appreciate your comment! Thank you Tanveer! Blessings to you as well.